While conducting A commercial property inspection or property condition assessment the inspector and reviewer should pay attention to and report upon the overall stormwater collection retention and detention aspects of the property, focusing on both water leaving the site as well as entering the site when precipitation occurs. Observances should be made as to whether there is open on-site storage in the form of retention ponds or possibly underground basins with outlet restrictor pipes limiting B or rights of storm water rejection to municipal storm sewer systems. The inspector and reviewer should also pay attention to any possible erosion of materials in relation to the area or those materials may be deposited in case there is possibility of stormwater blockage. 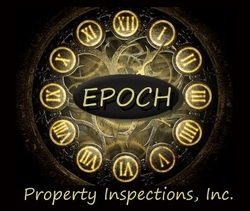 Although a commercial property inspection or property condition assessment is not in any way intended to be an engineering review and it is not the inspector or reviewer’s obligation to verify the adequacy of such systems it is helpful in determining possible sources of stormwater backup onto the property and current or future related maintenance issues and associated costs. ​As a with any system commonly found on a commercial property routine inspection and condition assessment followed by application of proper maintenance materials and techniques is of utmost importance in ensuring the longevity of any stormwater management system. Examples: drainage ditches, culverts, storm sewers, manholes, bioswales, retention ponds, detention basins, underground storage, discharge restrictors.